In today’s fast-paced society, we want our information now. Additionally, we want it in small chunks that are easy to read. That’s when a listicle comes into play. Even if you think you don’t know what a listicle is, you’ve likely encountered plenty of them online and not realized it. Learn more about what a listicle is, when they perform best for content, and how to create great listicle writing. If you’ve spent any amount of time browsing content online, you’ve likely read a few listicles. The term comes from combining the words “list” and “article.” A listicle is essentially an article in the form of a list. The format for a listicle is flexible. You could simply create a listicle that has a title, a few subheadings, and one picture under each subheading. On the other hand, you could also create a listicle that has plenty of extra detail under each subheading to make a complicated topic easier to understand. Along with their flexibility, listicles are popular for many reasons. They’re ideal for almost any subject. You can use them to sell a product, explain a topic, offer an opinion, give advice, and more. Additionally, you know what to expect with a listicle. You get a title that tells you what you’re going to read, and you get digestible chunks of information that explain the topic. Since this information is broken down under subheadings, you can easily scan for the important parts. You also know how much reading you have left. If you have to put it down, it’s easy to come back later and pick up where you left off. Even science agrees that our brains like listicles. As developmental molecular biologist Dr. John Medina explains, our brains prefer pictures over text. Additionally, reading large blocks of text is an intense task for our brains. However, if your brain sees bite-size content, it instantly recognizes that the experience is limited, and it’s able to better understand and process the information. What Type of Content Is Good for a Listicle? As you can see, a how-to listicle doesn’t always have to have the words “how to” in the title. However, the message on how to do something is still there. This type of content is good for a listicle because it has a title that immediately grabs your attention. Therefore, you want to make sure the information you provide lives up to what the title is offering. Plenty of listicles discuss identical topics. To get your content noticed, you need to come up with a specific angle for your listicle. For example, if you search the top 10 songs of all time, you’ll get an overwhelming number of results. However, you can put a distinct spin on this topic by creating an article that lists the top 10 rock songs for a road trip. A powerful headline is important because it will make people want to click on your listicle. When you’re creating your title, consider using a number. Research shows that numbers — especially odd numbers — add authenticity, are more decisive, and are more memorable. Additionally, you want to keep in mind that you want to stay away from clickbait titles. In general, a clickbait title promises something unrealistic that the content doesn’t deliver. The idea behind a listicle is to provide the information without any fluff. Therefore, you want to make sure you don’t drag out your article by adding irrelevant items. One way to achieve this effect is to re-read your article before you publish it and make sure every subheading relates directly back to your title. Even though lists are easier to read than large blocks of text, they can still get rather dull without some accompanying material. That’s why you should include relevant interactive media in your listicle. Options can include infographics, animated videos, live action videos, images, or illustrations. Suggest a way to use what you’ve written about. Tie everything back to your initial argument. 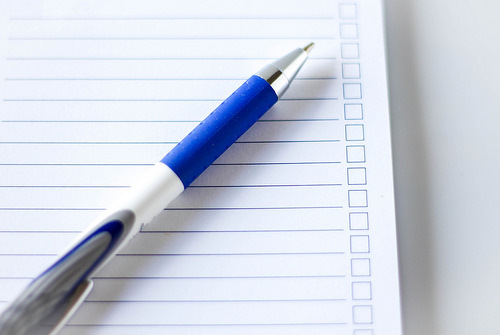 Even though many people think listicles are easy to create, you have certain aspects you need to keep in mind if you want to produce an effective listicle. 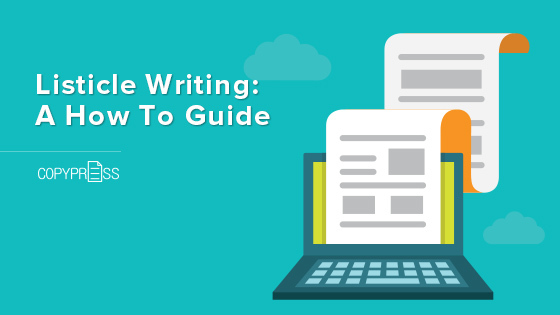 Now that you understand how to write a listicle, you can start putting together content that performs well.